Collecting scale models is widely appealing and insanely addicting because it gives you the power to obtain cars you otherwise wouldn’t be able to have in the real world. The irony of that is, unless your dream garage is full of cookie-cutter exotics, a good chunk of your favorite cars actually haven’t been made before in the scale you collect. 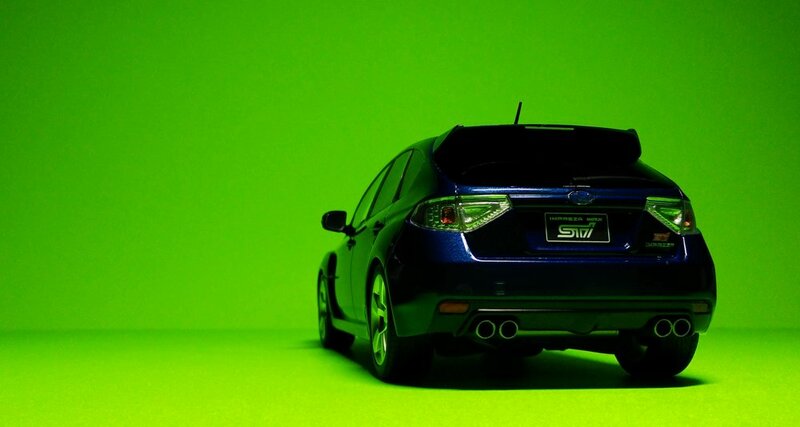 That brings me to today’s subject, which is the hatchback STi. Easily a top 5 favorite car of all time. Easily. Despite it being a measly $35k Subie that, to the untrained eye, looks like an average economy car. But the car guys (and gals) understand, when they see those massively flared fenders, the obnoxious hood scoop, and the quadruple exhaust pipes, that this isn’t grandma’s grocery-getter. Manufactured from 2007 to 2012, this is the first and only STi done in a hatchback configuration and, if you ask me, it was a design success. Factor in the added versatility of having five doors and you’ll understand why I would pick this over any of those boy racer sedans - not that those are bad by any means. As it stands, most people (even Subaru themselves) probably disagreed, because they’ve since scrapped the hatch in favor of the traditional 4-door. 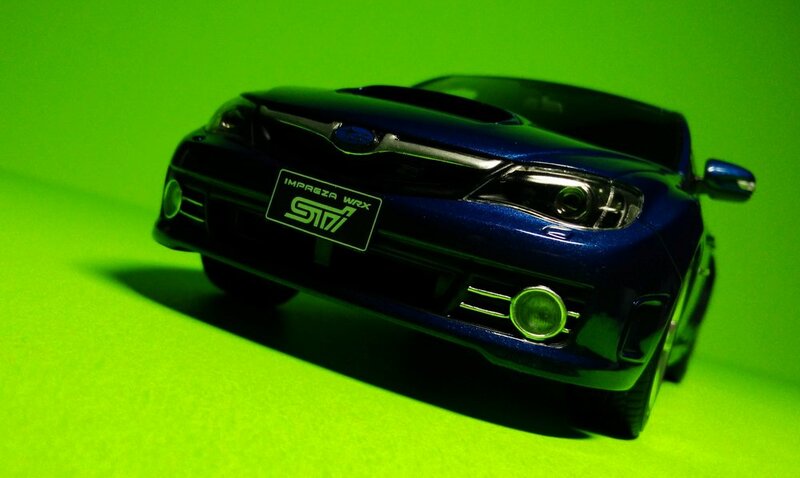 For more than a decade, this generation STi remained forgotten in 1:18 scale. It was OttOmobile who finally answered the call - as they have done so often in the past - giving the collectors what they want, filling our collecting voids left and right. From obscure French cars to European modern classics to trending JDM machines, there is nothing OttO doesn’t touch upon. All of this is made possible by shorter production times and lower production costs. Resin models might get some flak for being too basic, but our garages would be half empty without them. 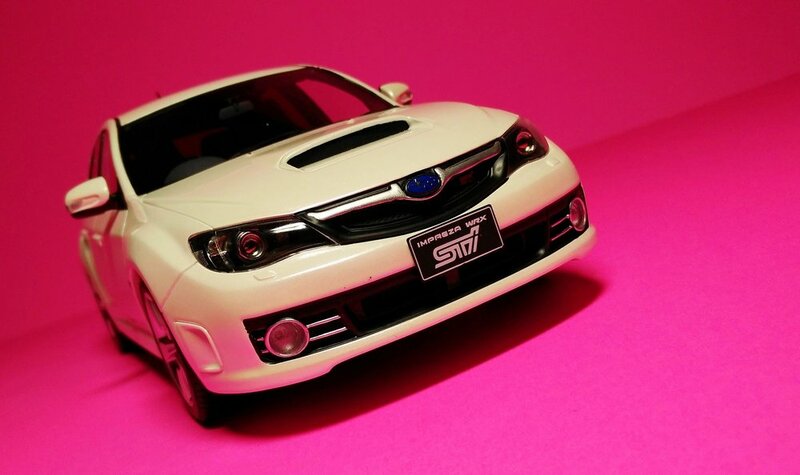 It’s no secret that the STi was my most anticipated model this year. You can imagine my excitement when this model was announced, evidenced by the fact that I had to nab not one, but both of its colorways. The blue one is the standard release; the white, an exclusive recolor done in conjunction with Route Twisk. Otherwise, they’re exactly the same. If the numbers are accurate, that’s 1500 examples produced in blue and 300 in white. At the end of the day, it’s the quality of the model, not the rarity, that matters. Unfortunately, it just doesn’t do anything for me. The likely culprits here are the wheels. The standard 5-spoke rims undermine what a beast this car actually is. When I say that this STi would look infinitely better with the optional BBS wheels, I think I’m speaking for the vast majority of fans here. After all, they say that it’s the wheels that make or break a car. I wouldn’t call it a disappointment, but looking at the model gives me an overwhelming feeling of indifference. In other areas, the fit and finish needs work. It’s hard to complain about a $70 model, but it gets frustrating when every car comes with a crooked license plate, stray glue marks, sloppy paintwork, and badges that are peeling off. While we can all appreciate the sheer quantity of fascinating new models that OttO cranks out every month, let’s not forget about the importance of quality control. Overall, this hatchback STi might not be quite the model I envisioned, but it is a welcome addition for fans of the pocket-rocket and hot-hatch segment. I hope that OttO decides to revisit this car in the future and make the sedan version. That’s one I’d like to have as well, thank you very much.